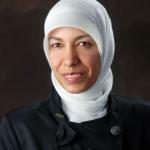 Dr. Niveen Abu-Rmeileh is an Associate Professor of Statistical Epidemiology and the Director of the Institute of Community and Public Health at Birzeit University. Dr. Abu-Rmeileh holds a BSc in Medical Technology , a Master in Public Health and a PhD in Statistical Epidemiology from University of Glasgow. She teaches a variety of courses on quantitative research methods, health statistics and population studies. Her research interest is focused on the three broad categories: epidemiology of chronic diseases, reproductive health, and building psychometrics. More about Dr. Nivin Abu-Rmeileh click here..